We came to see Denmark's capital, Copenhagen, but decided to visit nearby Roskilde first. It is one of Denmark's oldest cities and in particular we wanted to explore its Viking Ships Museum and see its cathedral. 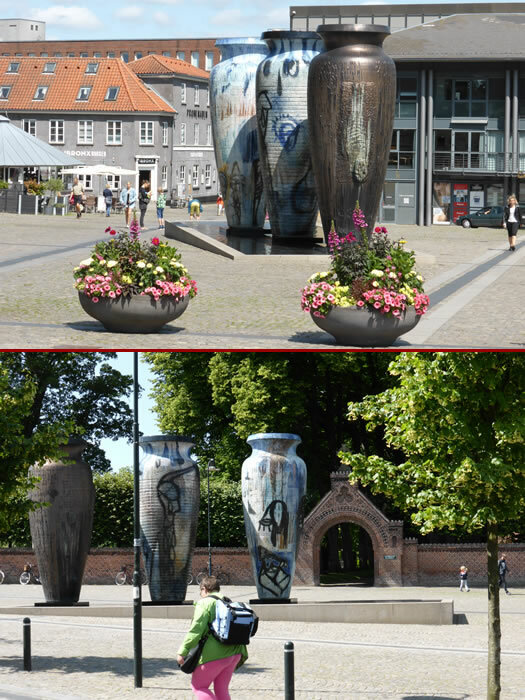 Love the giant vases!